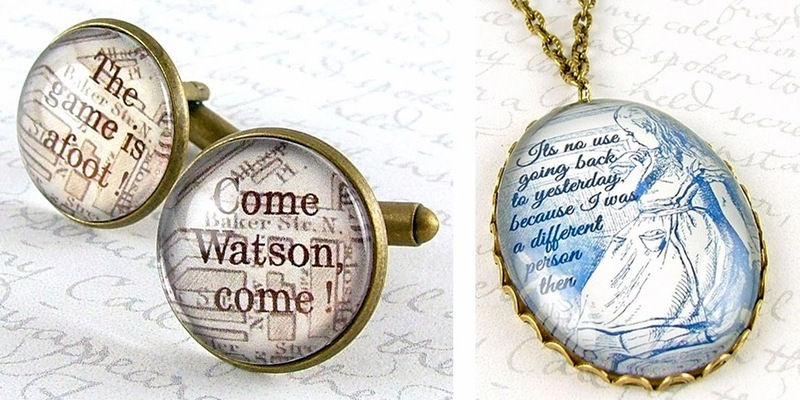 Let Your Jewelry Speak Your Mind About Literary Loves. Artful Words of Classic Authors Writ Upon Clever Crafts. Many readers wear their literary passions with pride, happy to share thoughtful reflections on their favorite written works with anyone. Thanks to Jezebel Charms, you can go one step further and wear a piece of your most cherished literature on your arm, dangling from your ears or around your neck. 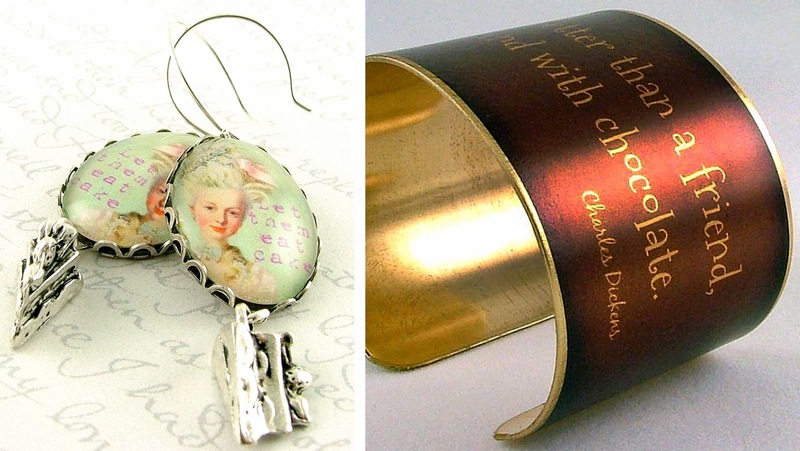 That's right, UK artist Kate creates handmade bracelets, earrings and necklaces as well as cuff links and a few other accessories emblazoned with quotes and illustrations by many of the classic authors we all know and love ... Austen, Shakespeare, Poe, Dickens, Doyle, Bronte and more. Many of the literary snippets featured are easily recognizable phrases that showcase key moments in their originating work. What a neat reminder of books and poetry written by authors who's words have an impact on you. As a book lover myself, I might have trouble picking just one favorite quote or even author. But it's not just the subject matter displayed on this jewelry that makes it unique. 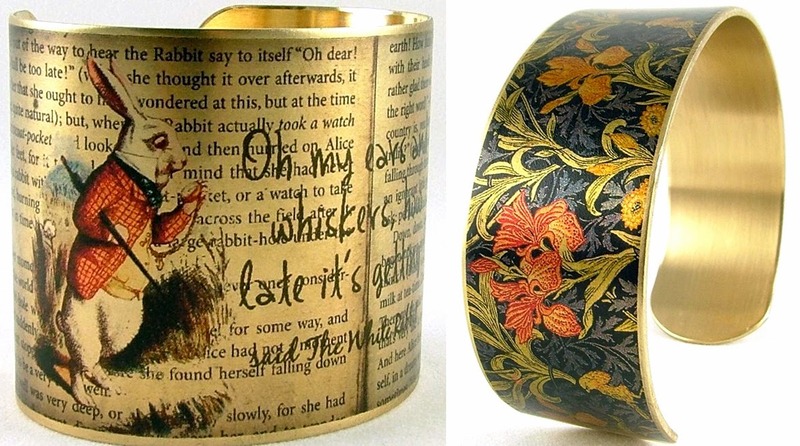 What's striking about the bracelets is the way this artist has transfered images on to brass cuffs that look printed directly on the metal, then sealed to shine. It's almost as if the images and text are printed directly on the metal. 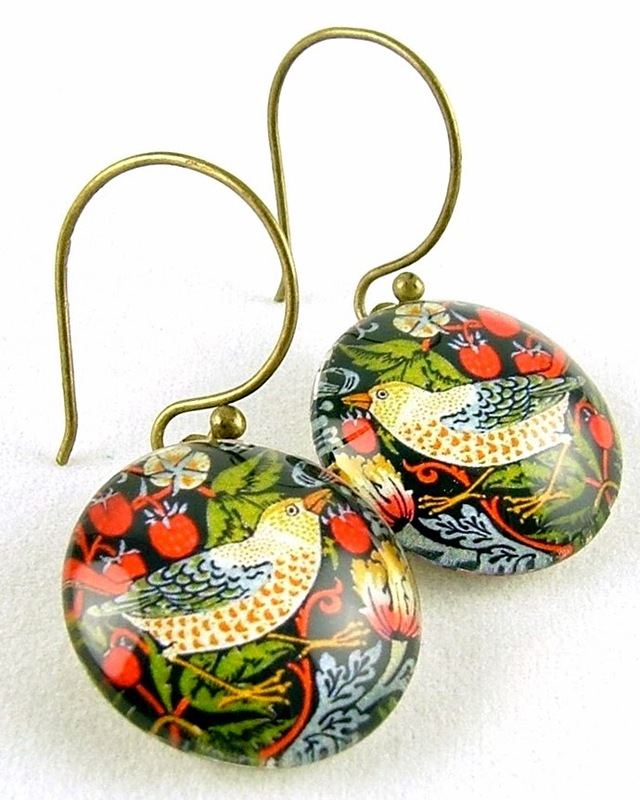 The earrings and pendants are also nicely finished pieces that work with limited real estate to capture what's great about the literature they reference, a select few words that speak volumes. A Book well written is itself a work of Art, so it seems fitting to elevate these words one step further to wearable Art.